1. Since this is an “add on study” you are permitted to continue your present NMO medications and receive the study medication with your other medications. 2. If you choose to participate in the study and meet all entry criteria, you will be randomized to one of two treatment groups. One group will receive eculizumab and the other group will be given placebo. In this study you have a 67% chance of receiving eculizumab and a 33% chance of receiving placebo. Placebo looks like the active drug. 3. This is a “double blind study” which means that neither you nor the study doctor or his/her staff know whether you are receiving eculizumab or placebo. In fact, no one who is involved in the study will know what you received until the study is complete. 4. The medication is given intravenously, initially weekly for 5 weeks and then every 2 weeks. You will have to come to the doctor’s office or infusion center for the infusion. 5. You will remain in the study until it is over, in about 2 years or until you experience a relapse. If you have a relapse the study will end for you, however there is a second study in which you may be eligible to enroll where all patients will receive eculizumab. If you did not have a relapse and the study ends you may be eligible to enroll in this same second study and receive eculizumab. More information on both studies can be found at www.clinicaltrials.gov. # NCT01892345 and NCT02003144. As with all medications there are potential side effects. Your doctor will discuss these with you and they will be detailed in the informed consent you will need to sign to be part of the study. Eculizumab is not approved for treatment of NMO. Eculizumab is a monoclonal antibody that blocks one component of the complement pathway, part of the immune system. Activation of the complement pathway is believed in part responsible for relapses in NMO. A pilot study of eculizumab in 14 female NMO patients suggested that eculizumab can reduce the risk of relapse. This study is intended to confirm that finding. SA237 is a humanized anti-human IL-6R neutralizing monoclonal antibody that was designed by application of recycling antibody technology to the approved anti-IL6 receptor antibody, tocilizumab, which is currently marketed as a treatment for rheumatoid arthritis (RA), systemic juvenile idiopathic arthritis, polyarticular juvenile idiopathic arthritis and Castleman’s disease. The recycling antibody technology enabled SA237 to bind to IL-6 receptor multiple times and be slowly cleared from plasma, which is expected to contribute to improvement of patient’s convenience by once monthly dosing frequency. The longer plasma half-life of SA237 compared with tocilizumab was confirmed based on the result of non-clinical study and Phase 1 study in healthy volunteers. This research is being conducted to evaluate the efficacy, safety, pharmacodynamic, pharmacokinetic and immunogenic profiles of a humanized anti-human IL-6R neutralizing monoclonal antibody (SA237) in patients with Neuromyelitis Optica (NMO) and Neuromyelitis Optica Spectrum Disorder (NMOSD). This research is being conducted in the US and Canada. Ninety (90) patients are going to participate in this research. 2. Age 18 to 74 years, inclusive at the time of informed consent. 2. Evidence of other demyelinating disease or PML. 3. Known active infection (excluding fungal infections of nail beds or caries dentium) within 4 weeks prior to baseline. 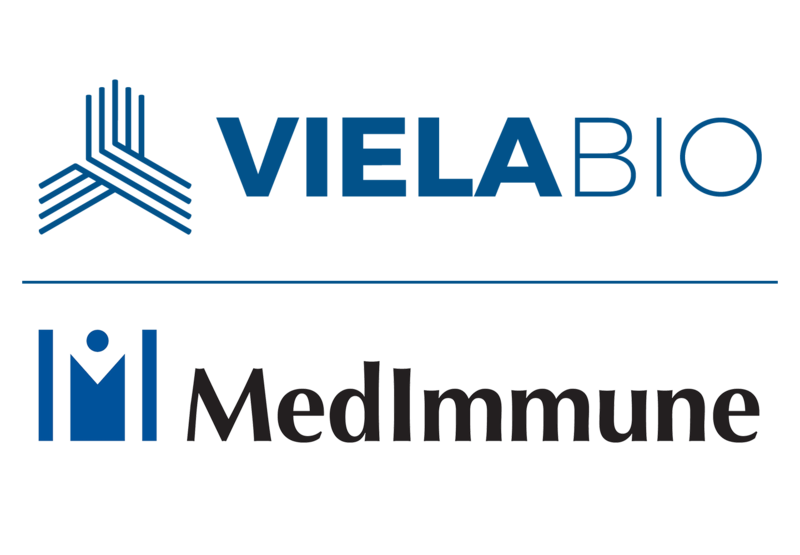 MEDI-551 is a humanized monoclonal antibody that acts against the specific antigen CD19 attached to the surface of B lymphocytes cells. These CD 19 B cells, are responsible for the production of autoantibodies against the AQP4 channel protein in the nervous system, which are playing a major role in causing the nerve tissue injury seen in NMO. Human studies have shown that when MEDI-551 attaches to the surface of B cells in the blood it starts a process that eliminates these cells. Reducing the number of these B cells may reduce the ability of the immune system to produce the antibodies that attack the healthy nerve tissues and may delay or prevent an NMO/NMOSD attack. The main objective of this study is to determine if MEDI-551 can significantly delay the time it takes for a new NMO/NMOSD attack to occur. This is a multinational randomized, double-masked, placebo-controlled study with an open label period extension. “Double-masked” means that patient and the study staff (for example the doctor/nurse) giving the study drug does not know who will be receiving MEDI-551 or placebo. Placebo controlled means that some patients will receive MEDI-551 and some will receive placebo, an inactive substance designed to look like MEDI-551. “Open label” means a period in the study where there is no placebo arm and all patients receive MEDI-551. Eligible NMO patients will be randomized in a 3:1 ratio to received either IV MEDI-551 or placebo. This random selection is made by a computer and will give a 25% (1 in 4) chance of getting placebo and a 75% (3 in 4) chance of getting MEDI-551. After being enrolled in the study, patients will be followed for 28 weeks; this period is called the placebo-controlled treatment period. Patients will have the option to enroll into the open label extension, if a confirmed attack occurred during the 28 weeks. Subjects who complete the 28 weeks without experiencing an attack will also be given the option to enroll in the open-label extension. During the 28weeks of the study, investigators are allowed to treat NMO attacks with standard rescue medications. MEDI-551 or placebo will be administer intravenously (IV) on day 1 and day 15 and then every 6 months. Known history of a severe allergic reaction or anaphylaxis following any biologic therapy. Known active severe bacterial, fungal or viral, or other infection or any major episode of infection requiring hospitalization. The Guthy-Jackson Charitable Foundation invites all members of industry to join our industry council. The largest international three-day conference that convenes researchers, clinicians, industry representatives, advocates, KOLs and other stakeholders from 22+ countries around the world. Regional NMO Advocacy days join patients, caregivers, families and friends who come together for the purpose of NMO education, information, and support. The GJCF Annual Patient Day is the largest international one day conference that convenes NMO advocates, clinicians, researchers, and industry from around the world. Summits, conferences, symposia and other venues for idea and information sharing. Outreach through social, digital, educational, and advocacy media to heighten awareness of NMO/SD and clinical trials.